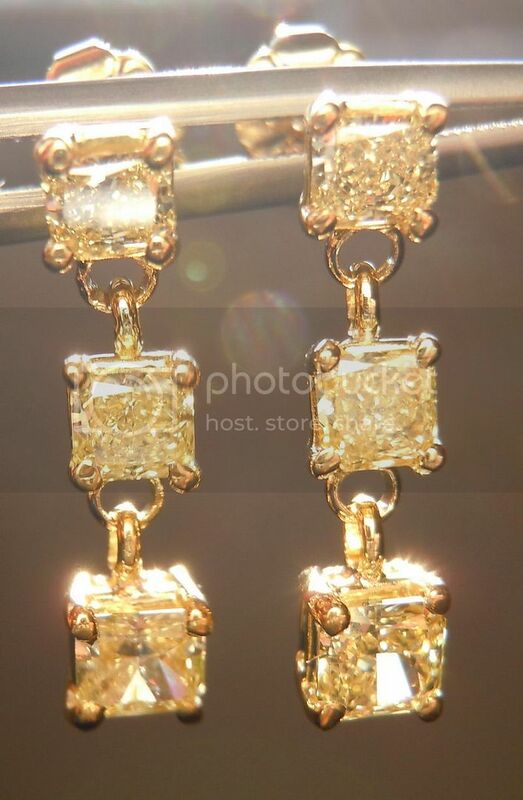 We found six very well matched radiant cut diamonds to create these earrings. They all have a rich natural yellow shade. 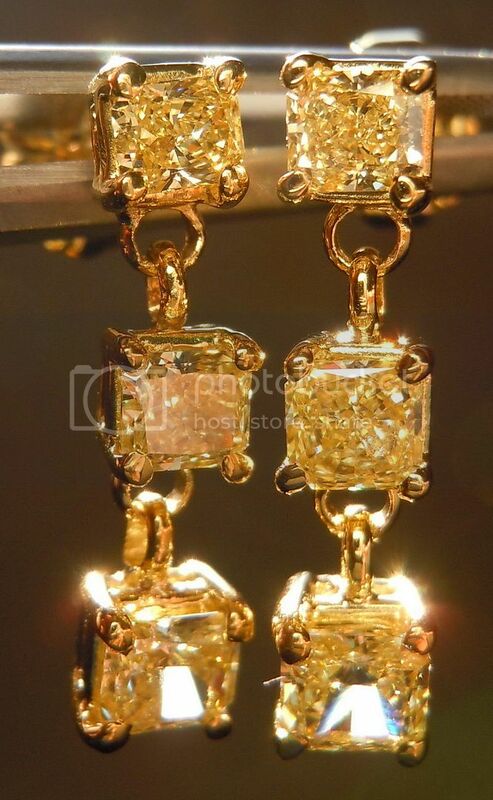 The diamonds are set into 18K Yellow Gold with sturdy friction backs. 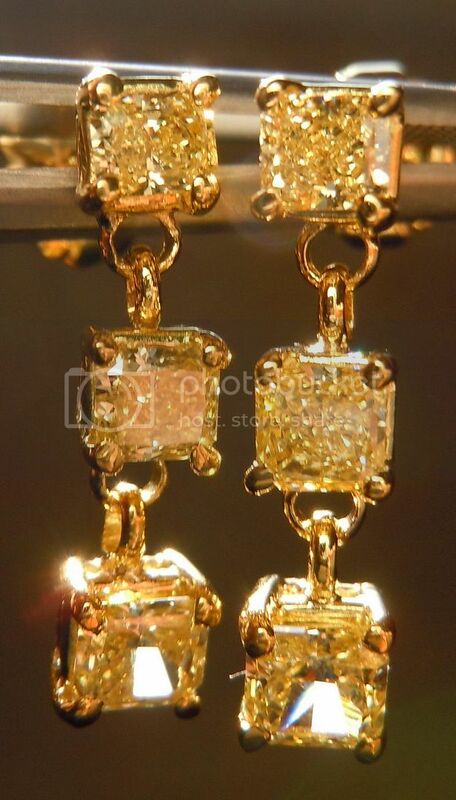 The earrings dangle about 5/8 of an inch long. Perfect for both daily wear or a special event.